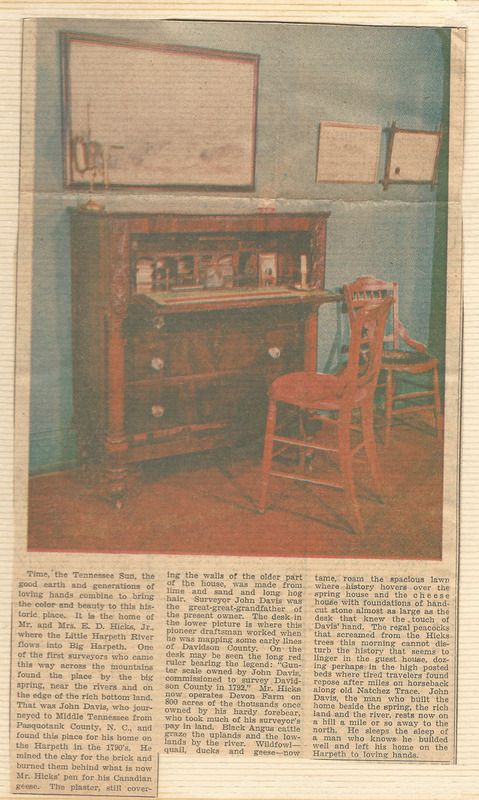 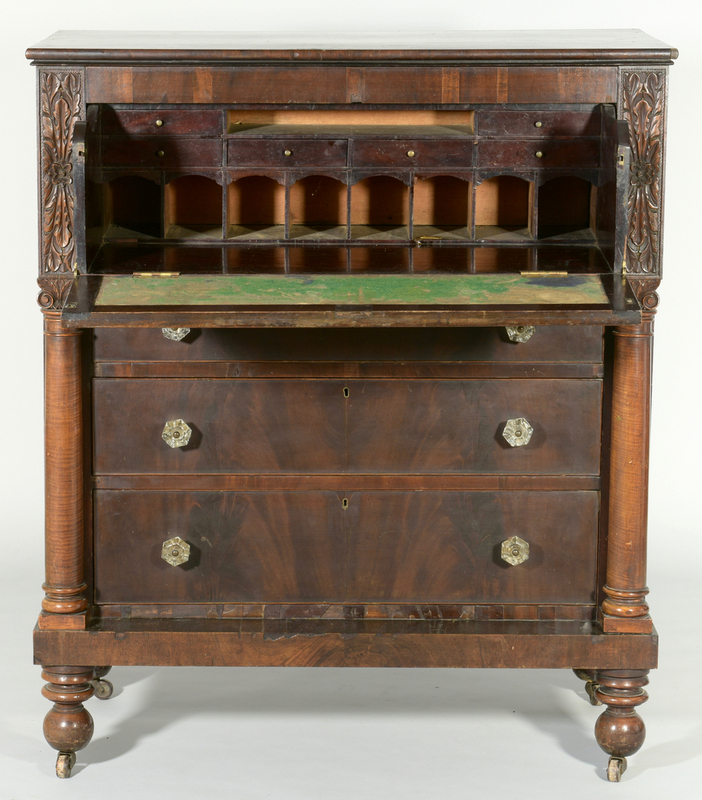 Classical butler's desk originally belonging to John Davis (1770-1853) of Nashville. Mahogany desk with molded rectangular top over a large overhanging drawer flanked by carved rosette panels. 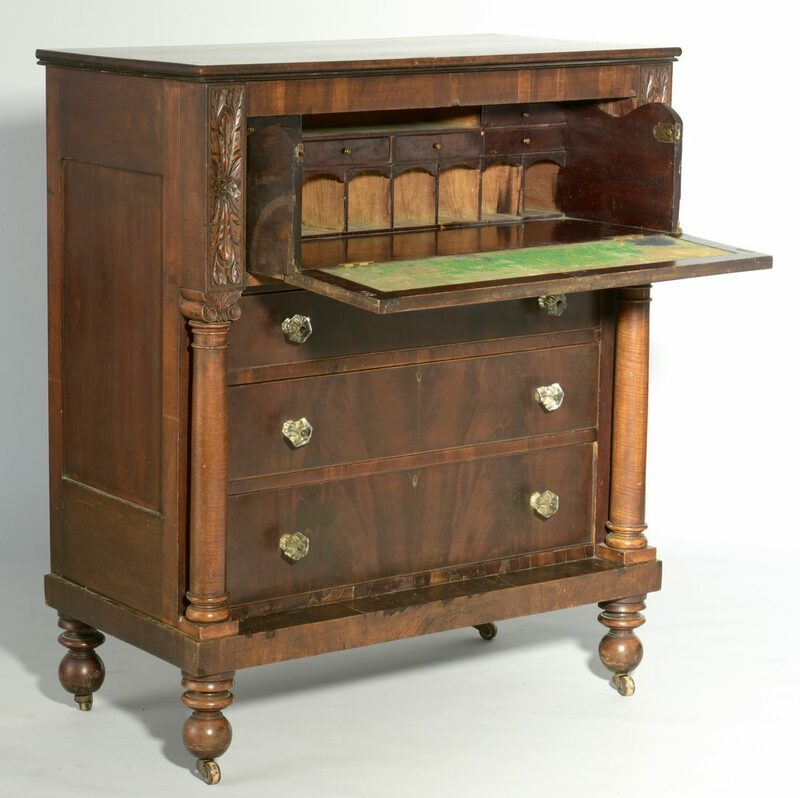 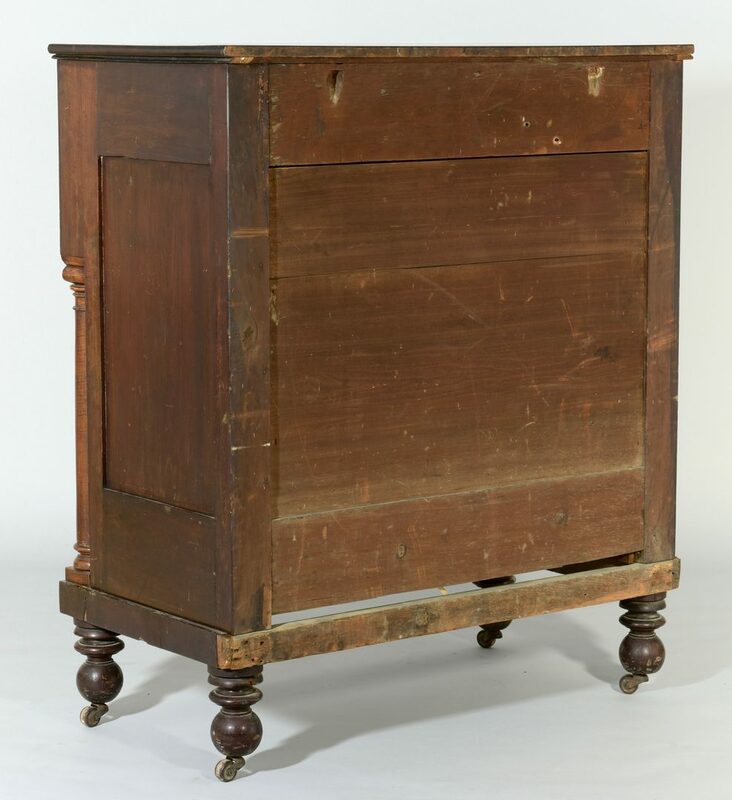 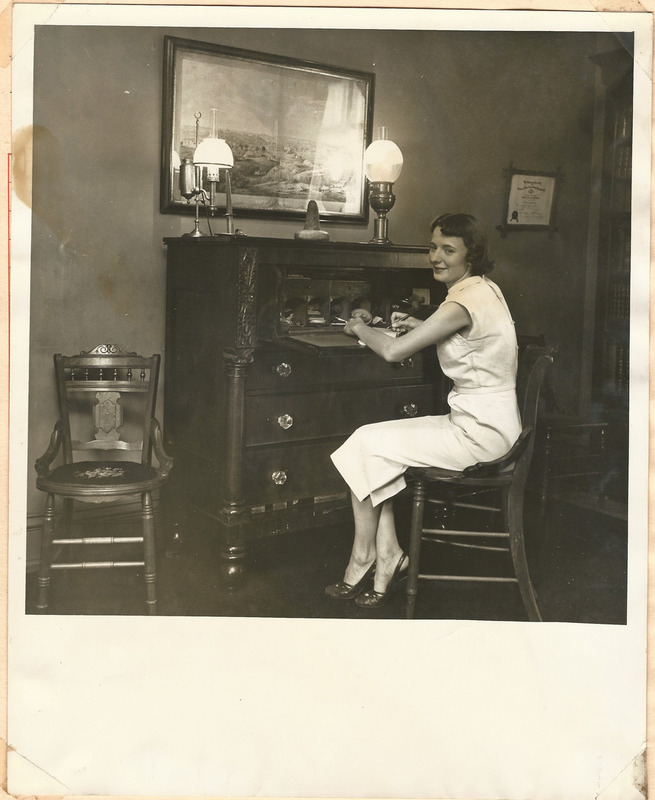 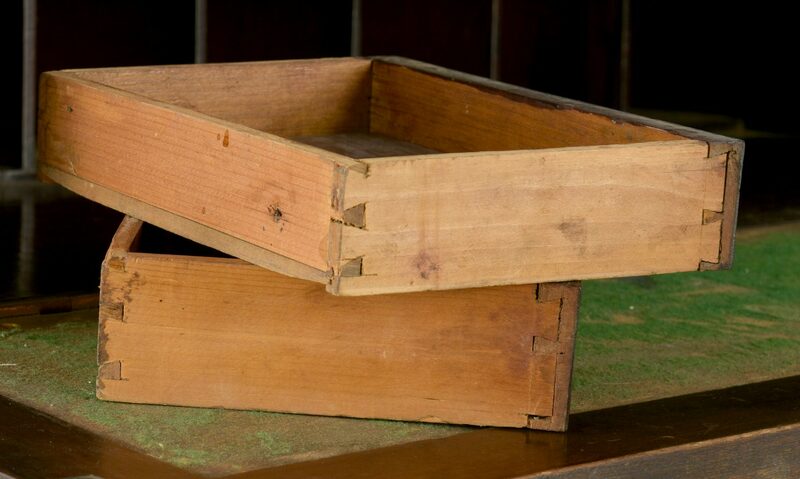 Top drawer has hinged fall front, and pulls out to reveal a compartmentalized interior with cubbyholes and six small drawers, and a baize-covered writing surface (worn). 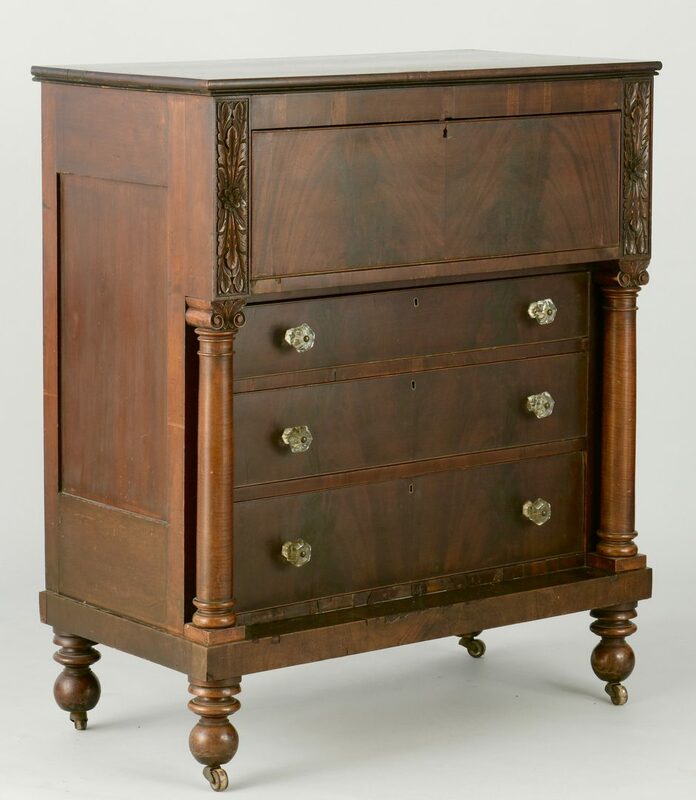 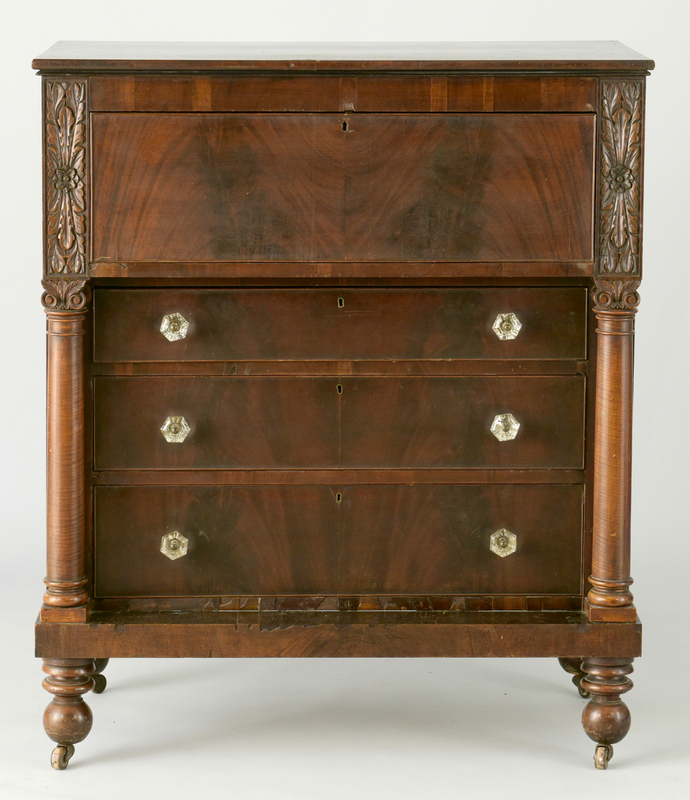 Three long drawers beneath, dovetailed with beaded edges and glass knobs, flanked by fully turned columns with ring turnings at top and bottom. Four ring and ball turned feet. 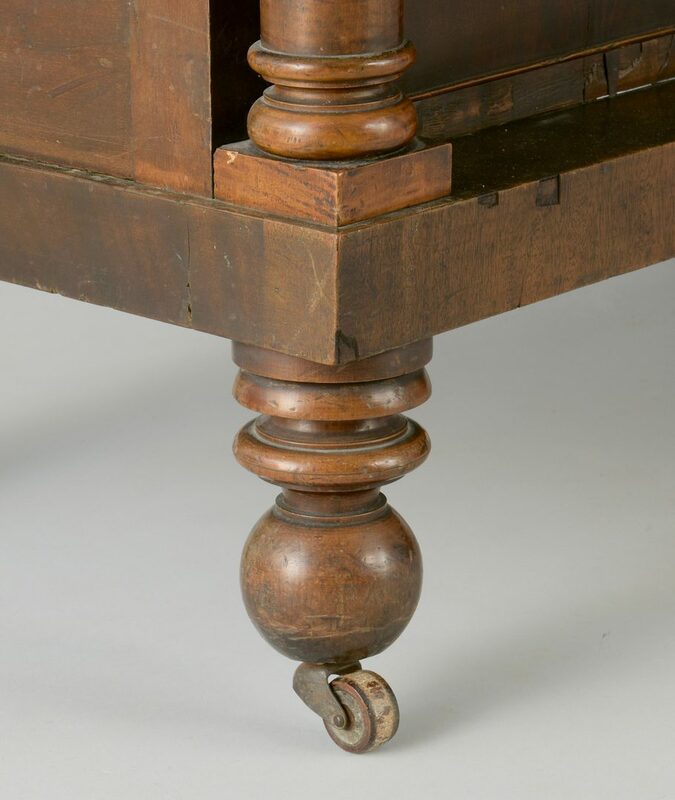 51 7/8" H x 44" W x 23 1/4" D. Circa 1845. 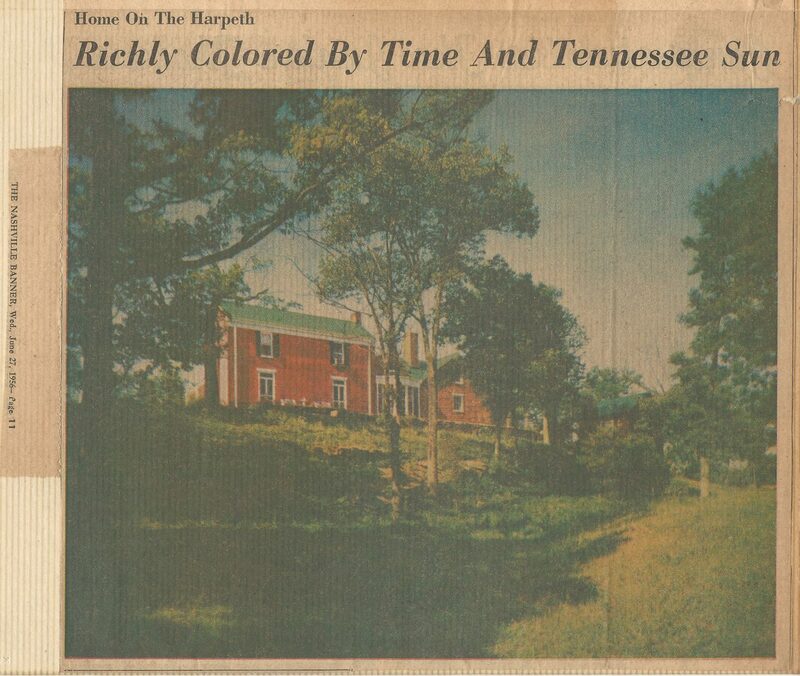 Provenance: the estate of John Davis descendant Sarah Hunter Hicks Green, formerly of Historic Devon Farm, Nashville, Tennessee. 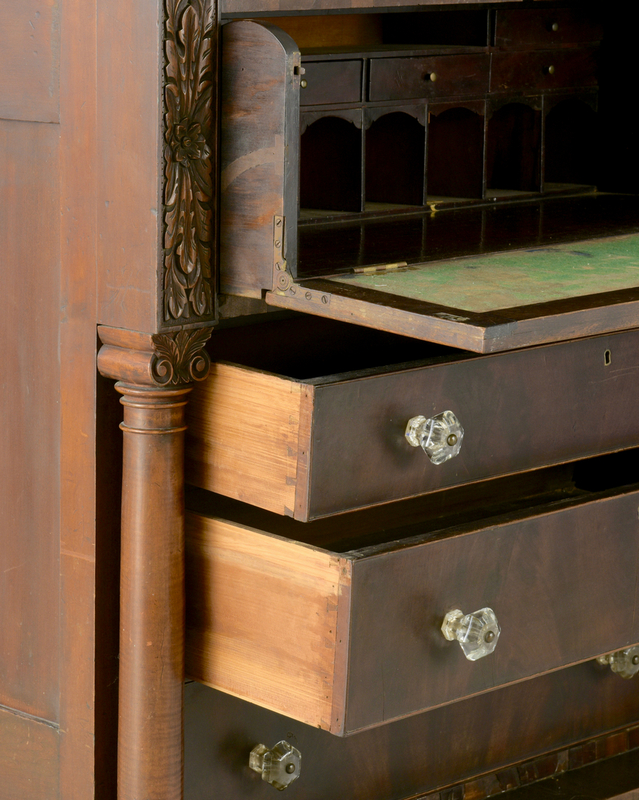 CONDITION: Repairs to extensive veneer chipping, wear to baize, general wear and abrasions.